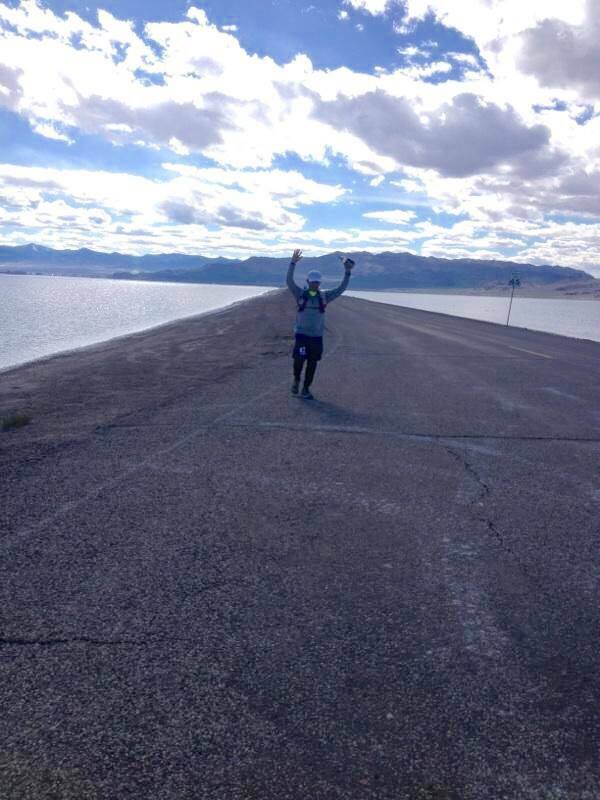 A week ago, I completed my first 100-mile race called the Salt Flats 100, which took place on and around the Bonneville Salt Flats in western, Utah. The race started in mostly sunny, but chilly weather on Friday, and it took me 34 hours to complete it. I must say there were moments . . . . many of them starting around mile 10 . . . that I really questioned whether I could do it. Exhaustion, blisters, pains here and there, and time kept trying to remind me of how inadequate I was to the task. Then, when I reached mile 74 at 4:00 a.m., I had been stumbling, almost sleep walking in the frigid air, when I arrived at the aid station, and I really thought I would just accept the fact that I couldn't go any farther. I entered the aid station tent, and I plopped down in a chair and rested for an hour, and I could hear whispers that I was too weary to continue. These voices came from inside my head and from the aid workers who were assisting runners there. "Hey, watch that guy. He really looks beat up." However, I knew that I couldn't and shouldn't give up quite yet because time and reflection have a way of helping people regroup, mentally and physically. Finally, as I arose from my chair and stepped outside the tent to reevaluate my condition, I was greeted with dawn slowly breaking in the eastern sky. The day, awakening from its dark slumber, greeted me with new hope. I changed my socks and quickly downed some pancakes, and continued on until the finish line. So, what things did I learn from the experience? Wow, I just can't count them. The main thought that comes to me today is that we shouldn't quickly give up on dreams and hopes, even when we are getting beat up in the process. Small baby steps forward into the unknown and darkness can lead to brighter times ahead. I would say this of friendships and raising a family. Pressing forward, showering love and kindness on others, and catching people when they stumble are vital keys to our growth and happiness. There is always hope. I'm growing kids, not tomatoes!